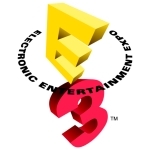 Are Gaming Expos Like E3 Still Relevant? The general consensus around the Internet today is that the presentations from most parties at E3 was a little uninspired. Not boring as such, but lacking a great deal of excitement or that “wow” factor that people like to see from time to time. There were some very interesting looking games from some areas, the likes of Dead Space 3 from EA sounds great for example with its drop-in, drop-out co-op gameplay, the new Need for Speed looks tasty, and Ubisoft impressed with Assassin’s Creed 3, Watch Dog and Splinter Cell Blacklist. There was also some impressive looking stuff from Sony with the reveal of Beyond, but the magic of revealing big secrets that genuinely surprise people went out the window years ago. With the exception of Portal 2 appearing in the Sony presentation we’ve been a bit low on anything especially impressive that we didn’t know about before, and quite a lot of people are wondering if these expos are worthwhile nowadays. The reason for this is probably quite simple. While the Internet itself isn’t a new thing the idea of HD streaming of trailers and gameplay has exploded in the past few years, and as average connection speeds go up so does the availability of full-screen 1080p clips that can be played seamlessly on a 46″ TV in your front room. Why sit up at 2am in the UK to watch the Sony conference when you can watch it first thing in the morning in much better quality than a live stream, especially when there’s a fair chance you won’t have seen much that YouTube hasn’t already got on offer? More to the point, do we need people to stand on stage and tell us stuff that we could have already read online? The strange thing is the atmosphere at these events tend to be more worthwhile than the game reveals themselves, and it’s important to remember that there’s a lot more to these expos than just the presentations. While there’s a lot of media attention on the big presentations its the other areas that make the likes of E3 worthwhile. The booth tours for each developer, the chances to meet and talk to the people who make the games, socalising with other gamers and press representatives. But there’s one thing over and above any of this, and that’s the chance to play some of these games before most other people on the planet, and that’s something the Internet can’t really provide in any capacity. Not only that, it provides an opportunity for early feedback from real gamers that may just make these great games a little bit greater. And so to those people who grumble about the lack of surprises, those who watch the presentations, shrug them off and wonder what the point is… yes, you’re right. The recent shows have been short on surprises, but without them the gaming world would just feel a little empty at certain times of the year. We just need to realise that presentations nowadays are more about solidifying information than giving us new stuff, but that definitely doesn’t mean these expos aren’t relevant or worthwhile. Everyone looks forward to them, people enjoy going to them and it’s always fun to try and keep up with everything that can be crammed into a few days. One Comment on Are Gaming Expos Like E3 Still Relevant? I quite enjoy the presentations, even if it’s what we’ve seen before it’s great to hear everyone’s reaction and get a live commentary with gameplay demos.